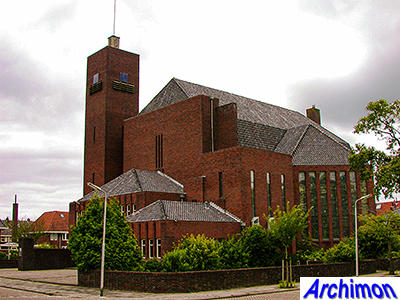 In 1925, just a few years after the completion of the Koepelkerk (by T.E. 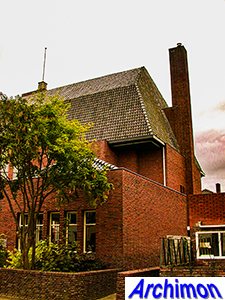 Kuipers), the Gereformeerde community of Leeuwarden found itself short in space for its growing number of members, especially in the new neighbourhoods in the west of the city. 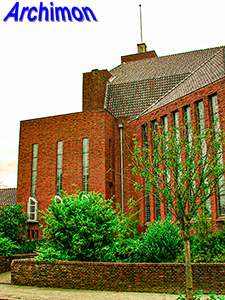 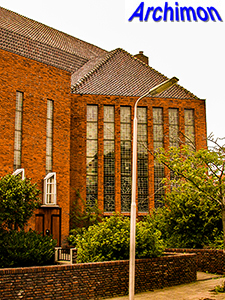 The decision to build a fourth church wasn't made until 1929. 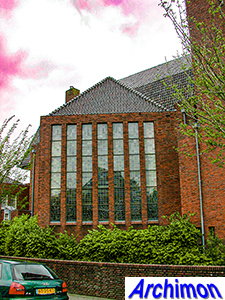 Five architects were asked to provide a design, out of which the one by E. Reitsma was chosen. 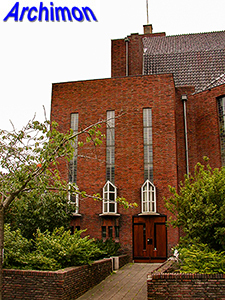 Reitsma was at that moment one of the main architects for this denomination. 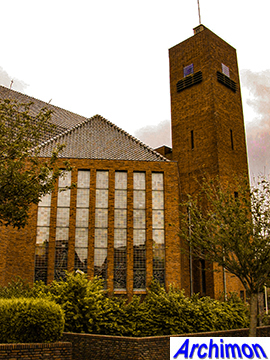 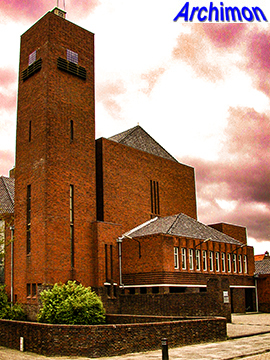 However, his design for the Pelikaankerk ('pelican church') had little in common with the churches that had made him famous, like the church of Andijk, which were all in Expressionist style. 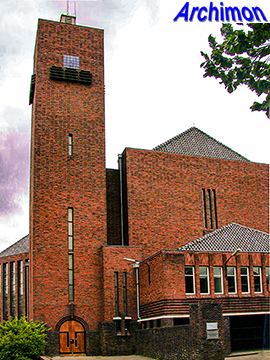 Instead, the Pelikaankerk meant a new direction for Reitsma, who was now influenced by the work of W.M. 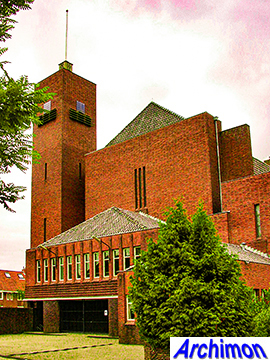 Dudok and his Hilversum town hall which was being build at that time. 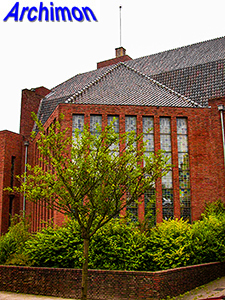 Like Dudok, Reitsma designed a building consisting of several block-shaped spaces. 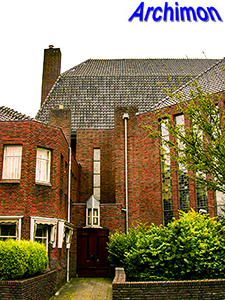 Unlike Dudok, Reitsma did not give his design a flat roof. 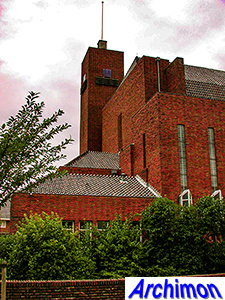 The only flat roof is the tower's. 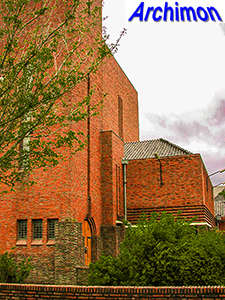 The actual church is only a part of the building, which also includes several other spaces.